liNKCity offers Internet service to approximately 4,445 people in 1 cities over 1 states. liNKCity is available in 1 state. Le-Ru(866) 628-3844Experience the best of the Internet with a Le-Ru connection. Lismore Wireless Internet provides Fiber and Fixed Wireless services. Lennon Telephone Company(810) 621-3301Serving the Lennon area with friendly and local telecommunications services for over 65 years. Lennon Telephone Company provides Cable and DSL services. LigTel Communications(800) 714-6353LigTel offers their customers a wide variety of internet services including fiber optic, fixed wireless and DSL. 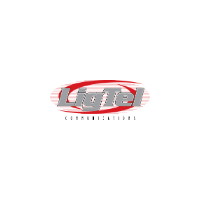 LigTel Communications provides Fiber, DSL and Fixed Wireless services.